[Image: "Beamer Bees" by Liam Young and Anab Jain]. 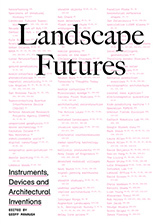 I had an interesting and long conversation last week with John Becker, one of my students at Columbia's GSAPP, about everything from the future of 3D printers, the possibility of permanently embedding such machines into the fabric of a building, and even the genetic manipulation of nonhuman species so that they could produce new, architecturally useful materials. 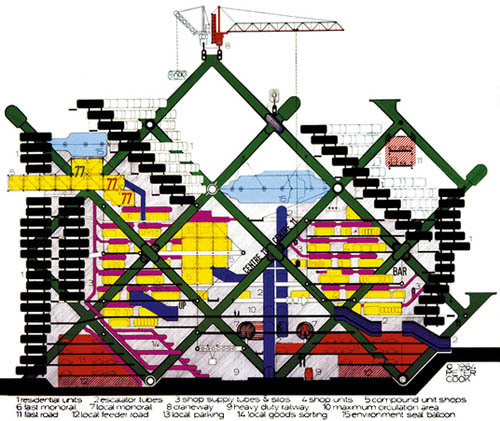 1) Famously, groups like Archigram proposed using construction cranes as permanent parts of their buildings. The crane could thus lift new modular rooms into place, add whole new floors to the perpetually incomplete structure, and otherwise act as a kind of functional ornament. The crane, "now considered part of the architectural ensemble," Archigram's Mike Webb wrote, would simply be embedded there, "lifting up and moving building components so as to alter the plan configuration, or replacing parts that had work out with a 'better' product." [Image: Plug-In City by Archigram/Warren Chalk, Peter Cook, Dennis Crompton; courtesy University of Westminster]. But 3D printers are the new cranes. 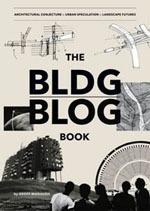 For instance, what if Enrico Dini's sandstone-printing device—so interestingly profiled in Blueprint Magazine last month—could be installed somewhere at the heart of a building complex—or up on the roof, or ringed around the edge of a site—where it could left alone to print new rooms and corridors into existence, near-constantly, hooked up to massive piles of loose sand and liquid adhesives, creating infinite Knossic mazes? The building is never complete, because it's always printing itself new rooms. In fact, I think we'll start to see more and more student projects featuring permanent 3D printers as part of the building envelope—and I can't wait. A room inside your building that prints more rooms. It sounds awesome. 2) Several months ago, the Canadian Centre for Architecture, as part of their exhibition Actions: What You Can Do With the City, put up #77 in its list of things "you can do with the city": they phrased it as Bees Make Concrete Honey. My eyes practically fell out of my head when I saw that headline, imagining genetically modified bees that no longer produce honey, they produce concrete. They'd mix some strange new bio-aggregate inside their bellies. Instead of well-honeyed hives, you'd have apian knots of insectile concrete. Perhaps they could even print you readymade blocks of ornament: florid scrolls and gargoyle heads, printed into molds by a thousand bees buzzing full of concrete. Bee-printers. Alas, it had nothing to do with apian concrete; it was simply a play on words: urban bees make urban honey... or concrete honey, if you want to be poetic. But no matter: using bees to create new forms of concrete—perhaps even new forms of sandstone (whole new geologies! )—is ethically horrific but absolutely extraordinary. After all, there are already bugs genetically modified to excrete oil, and even goats that have been made to produce spider silk. What, though, are the architectural possibilities of concrete honey? [Images: The Rosslyn Chapel hives; photos courtesy of the Times]. 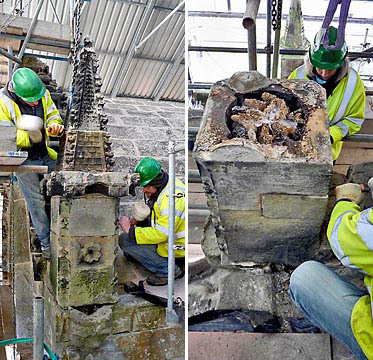 3) Last month, over at Scotland's Rosslyn Chapel, it was announced that "builders renovating the 600-year-old chapel have discovered two beehives carved within the stonework high on the pinnacles of the roof. They are thought to be the first man-made stone hives ever found." It appears the hives were carved into the roof when the chapel was built, with the entrance for the bees formed, appropriately, through the centre of an intricately carved stone flower. The hives were found when builders were dismantling and rebuilding the pinnacles for the first time in centuries. As the article goes on to point out, "Although human beings have collected honey from wild bee colonies since time immemorial, at some point they began to domesticate wild bees in artificial hives, made from hollow logs, pottery, or woven straw baskets. The Egyptians kept bees in cylindrical hives, and pictures in temples show workers blowing smoke into the hives, and removing honeycombs. Sealed pots of honey were found in Tutankhamun’s tomb." But, combining all these stories, what about bees that make concrete honey, artificially bred and housed inside hives in the spires of buildings? Hives that they themselves have printed? High up on the roof of St. John the Divine sit six symmetrical stone hives, inside of which special bees now grow, tended by an architecture student at Columbia University; the bees are preparing their concrete to fix any flaw the building might have. No longer must you call in repair personnel to do the job; you simply tap the sides of your concrete-mixing beehives and living 3D printers fly out in a buzzing cloud, caulking broken arches and fixing the most delicate statuary. Nearby homeowners occasionally find lumps of concrete on their rooftops and under the eaves, as if new hives are beginning to form. (Thanks to Steve Silberman for the Rosslyn Chapel hives link, and to John Becker for the conversation these ideas came from). May I recommend Eva Crane's Archaeology of Beekeeping (1983)? It's long out of print and copies are expensive (search BookFinder.com). It's the only comprehensive source on this subject I know and I came across it years back whilst writing up an excavation of what turned out to be 'bee boles'. These were built into the internal walls of a standalone brick tower on the estate of an English nobleman just outside Dublin. Groovy stuff. Mud Dauber wasps already do something similar. Why not program their brains to write AutoCAD files? The interesting thing here is that structure-making, via computation (brain or computer), is always some variant of accretion; a process of intentional mineralization. While not primarily about bees the exhibition explores the possibility of creating as yet undreamt of botanically derived architectural objects. 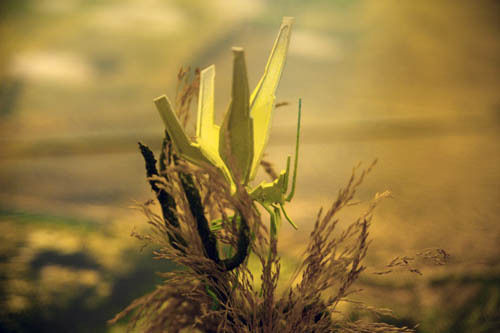 Jackson has commissioned architect, musician and former lecturer at the Bartlett, Christian Groothuizen, to produce an animated proposal of a community of inhabitable gourds. There's also The Beehive Metaphor (Juan Antonio Ramirez). 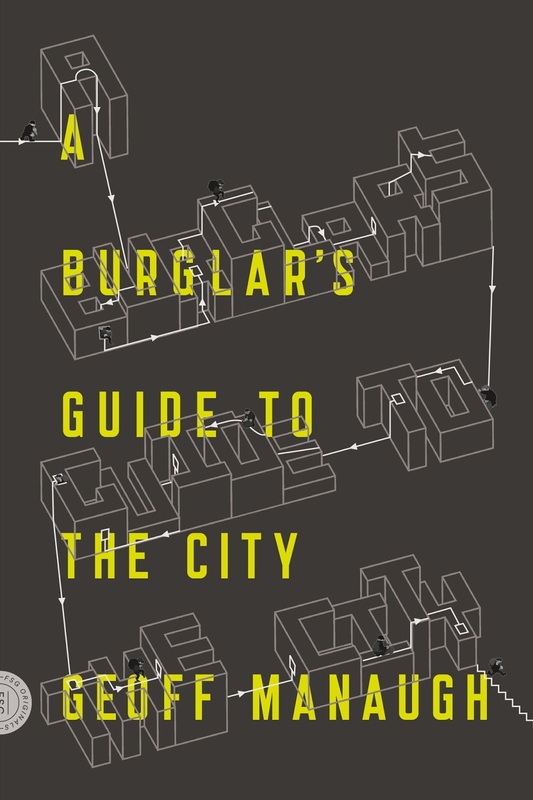 It looks at how the beehive as an architectural model supposedly informed the works of all the great architects. It's quite an insane book, that somehow makes sense. Perhaps we need an updated one that looks at the performative, infrastructural and social models of the hive and the swarm. out-of-control architectural geometries spreading through bee-vector borne contagion... would this necessitate a kind of animal/architectural quarantine? or: could future invading armies, unsatisfied with the militarily challenging urban condition, alter that condition merely by releasing a colony of bees?